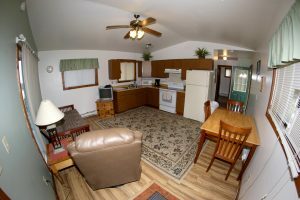 Click on the link provided below to reserve it! 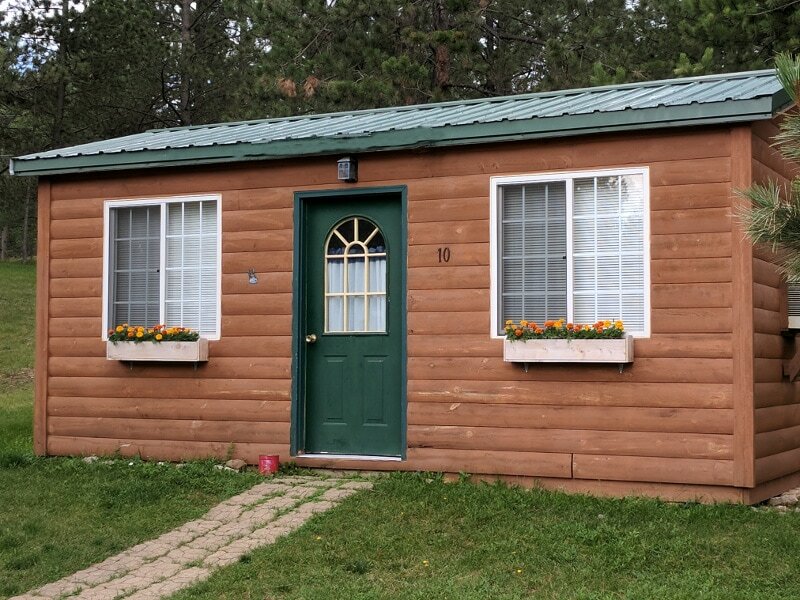 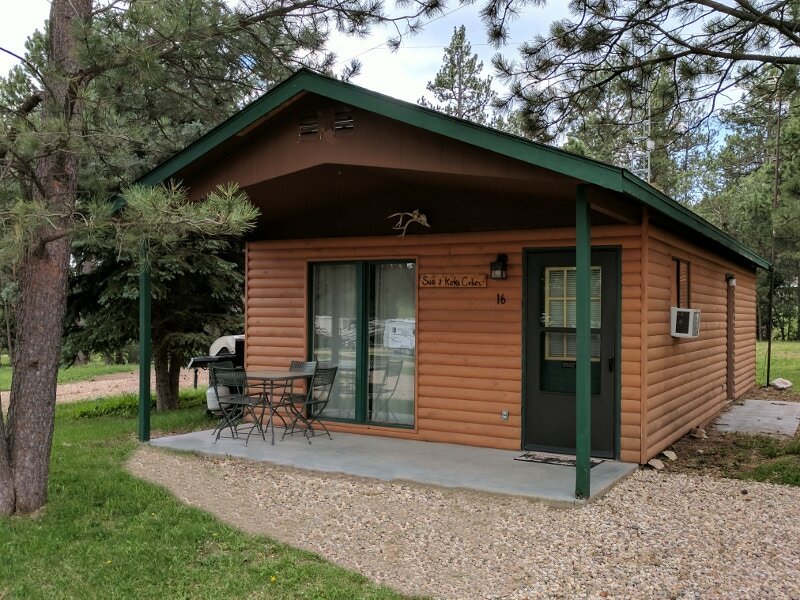 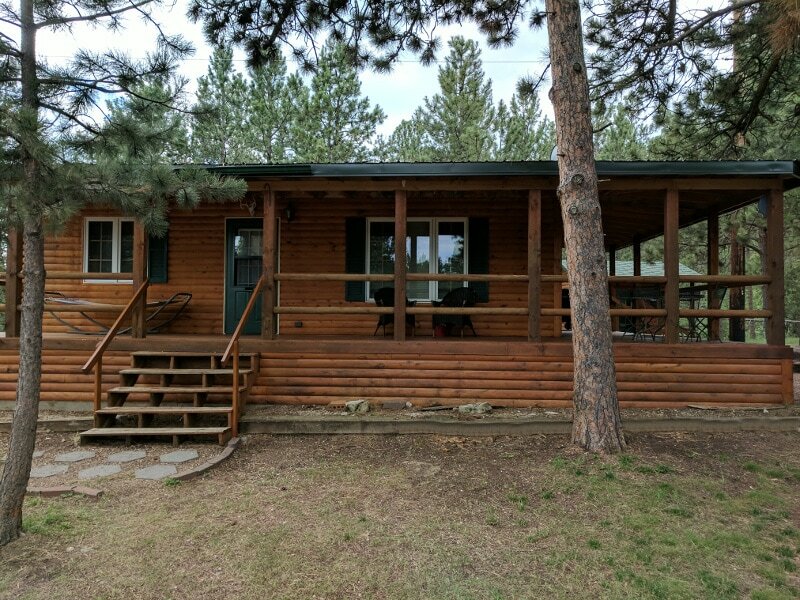 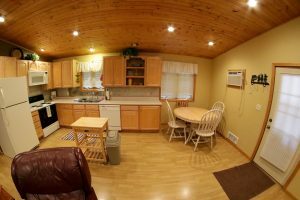 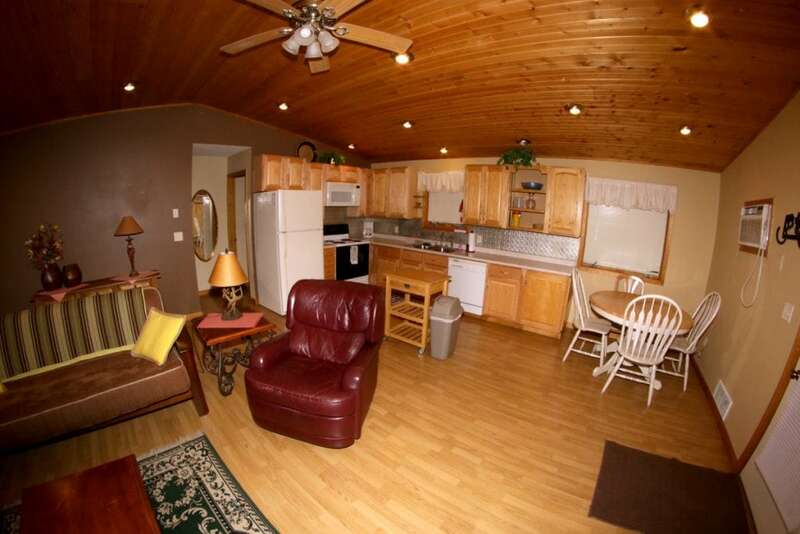 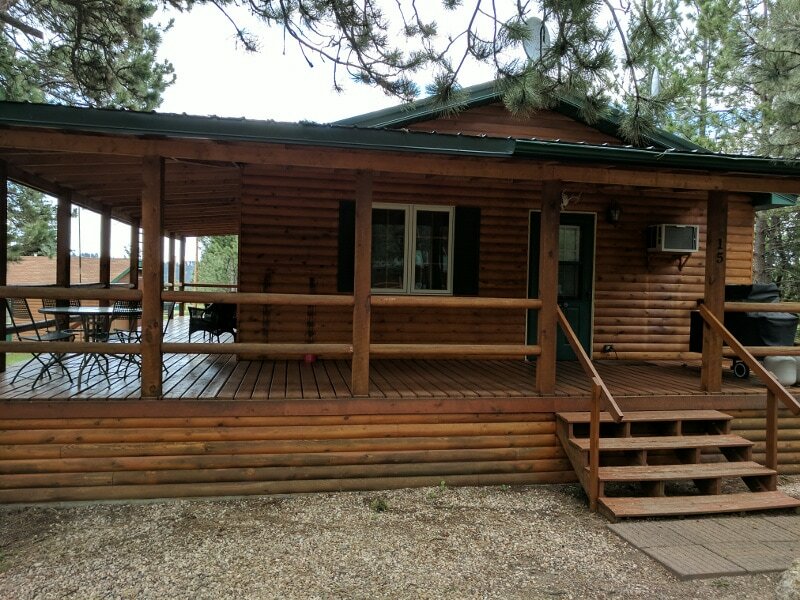 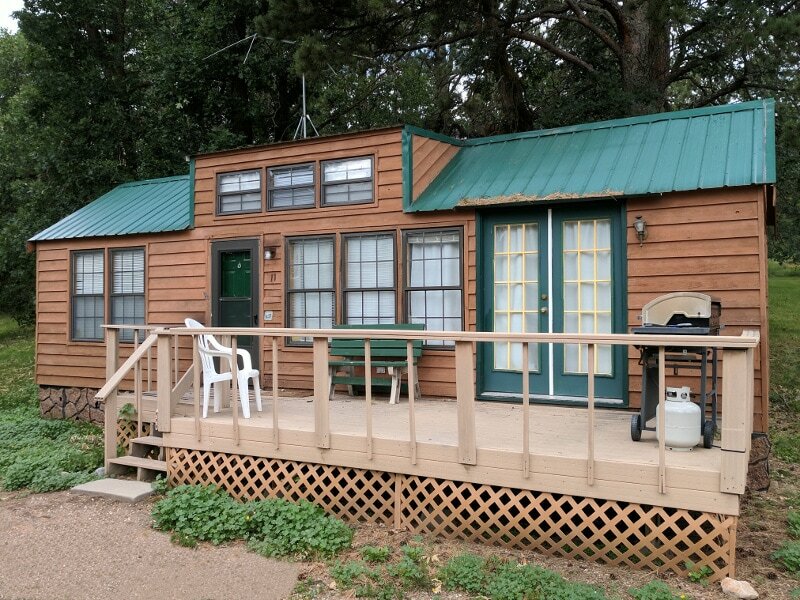 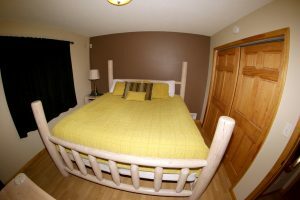 Cabin 15 is our “Home away from home” unit that sleeps up to six people… It comes complete with anything you would need for a first class Black Hills vacation! 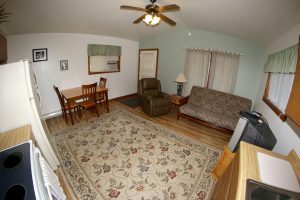 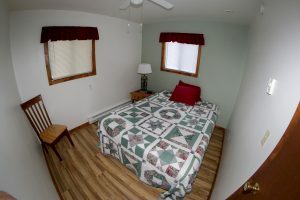 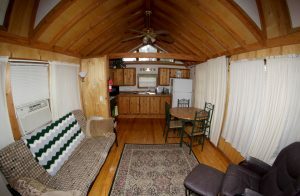 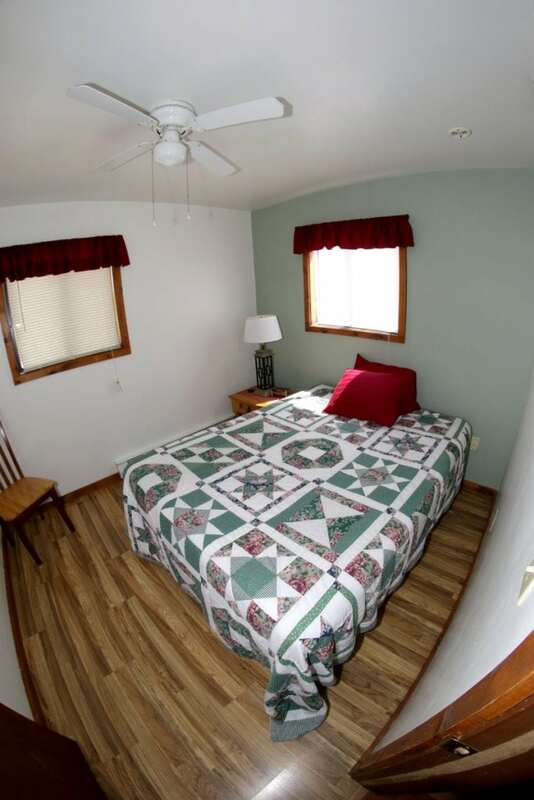 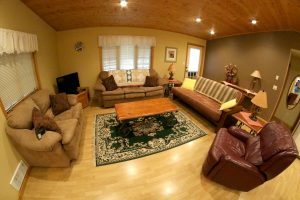 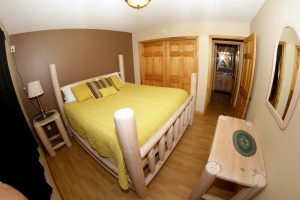 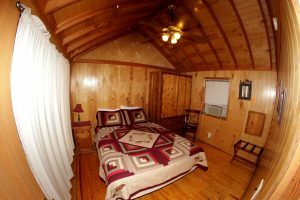 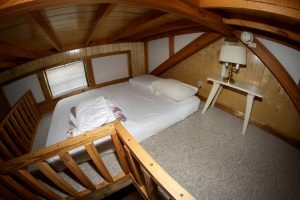 Our “The George Washington Cabin” includes one bedroom with a king sized bed, a very spacious living room with full couch, love seat, and a Hide-a-Bed, futon bed/couch, air conditioner. Full sized kitchen including pots, pans, dishes and utensils, four burner stove and oven, large microwave, full sized refrigerator/freezer, large counter with double sink for food prep, a chefs dream space! 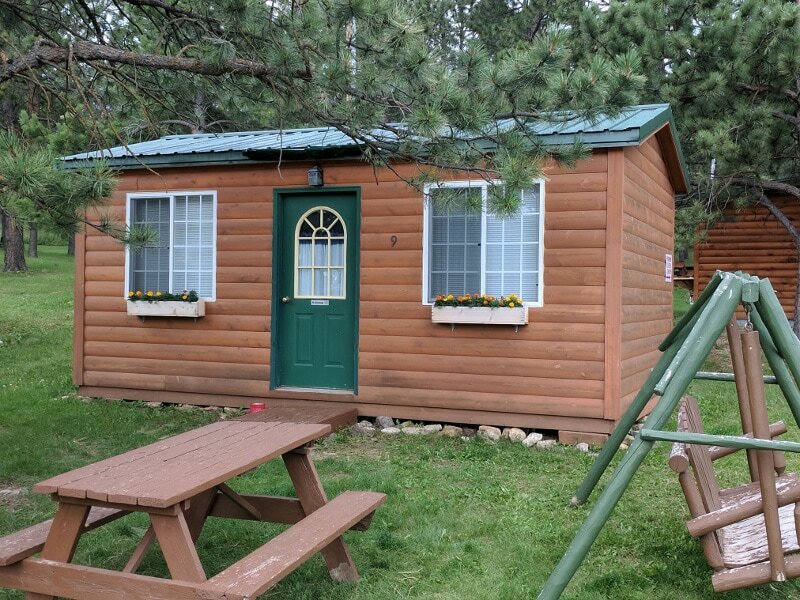 A large dining area and table, Full Bath with Tub & Shower, Large wrap around deck with Patio Furniture, Outdoor Hammock, Gas BBQ Grill, and is nestled under some of our parks signature trees! 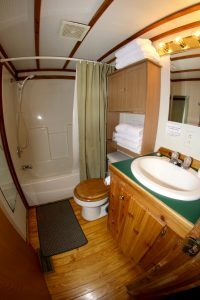 This is our flagship cabin with every amenity you could desire and once you stay here you will always want to come back to this beautiful cabin! This is indeed one of our nicest units. When you stay here you’ll feel like you’re home! 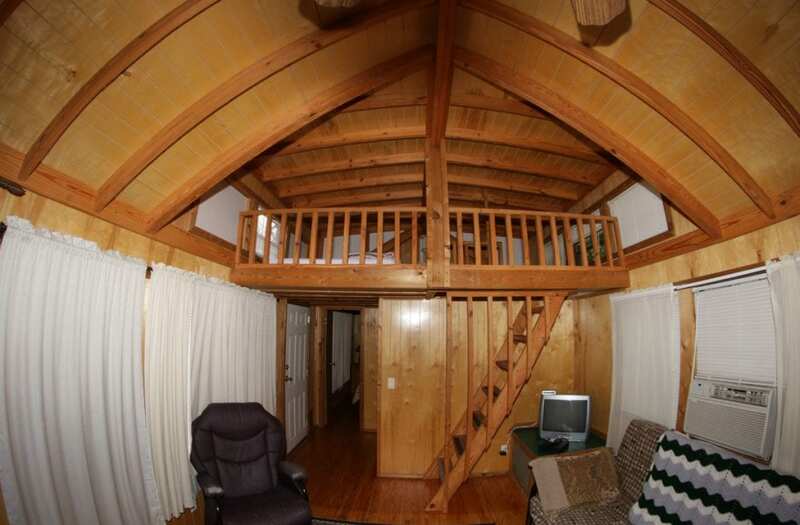 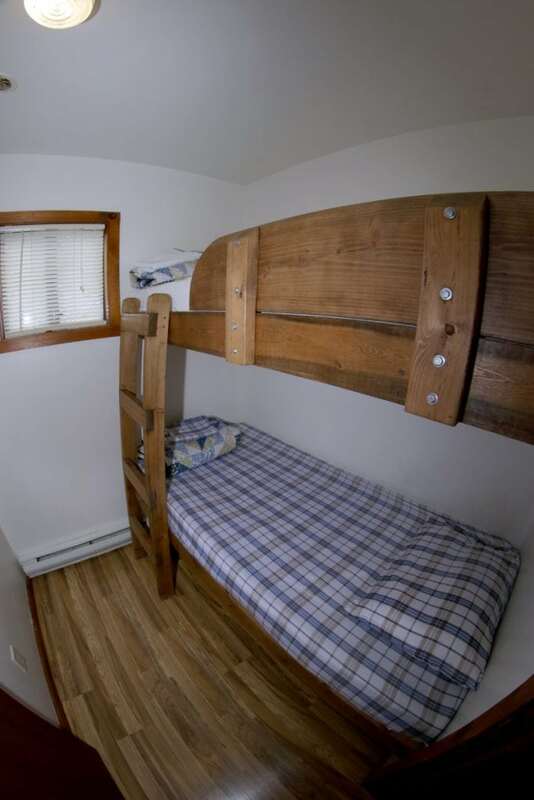 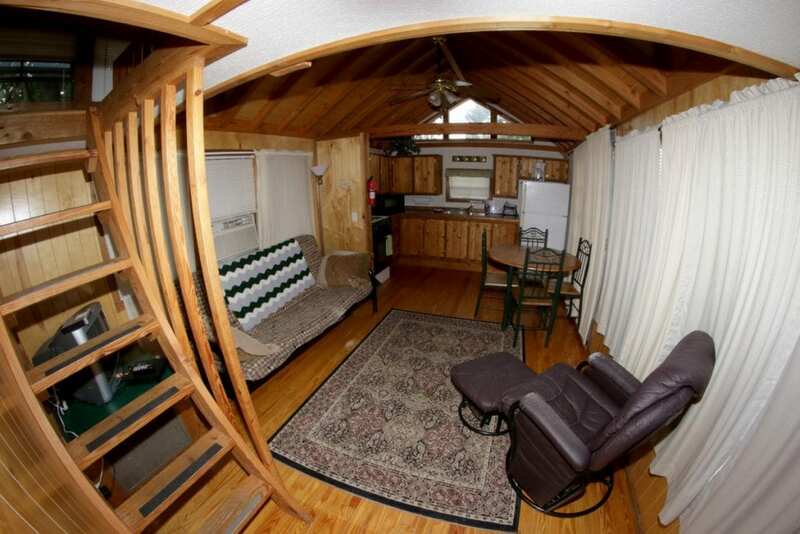 This cabin sleeps up to six people and has one bedroom with queen sized bed, another bunk room with two single bunk beds, a spacious living room with futon couch/bed, a full kitchen including pots, pans, dishes and utensils, a four burner stove and oven, air conditioner, counter-top microwave, full sized refrigerator/freezer, more than ample counter space for food prep and double sink for quick and easy cleanup. 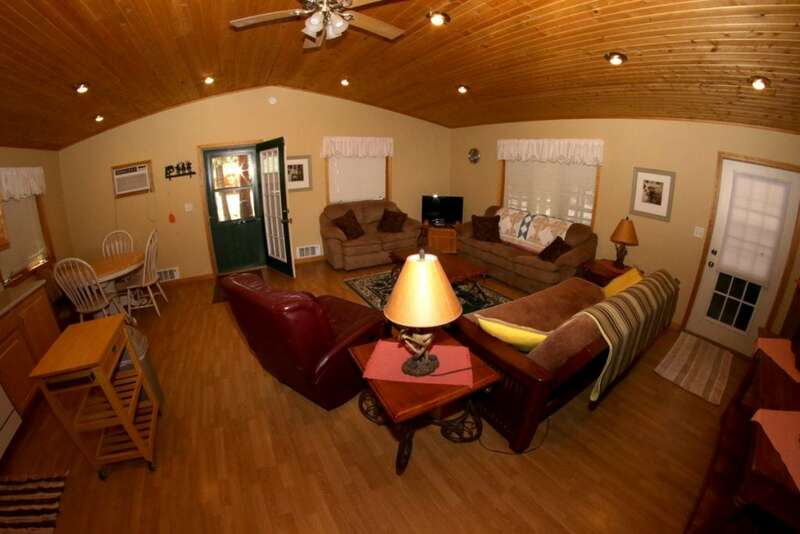 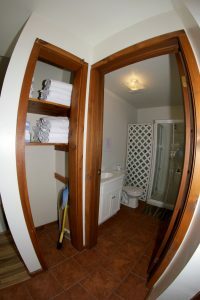 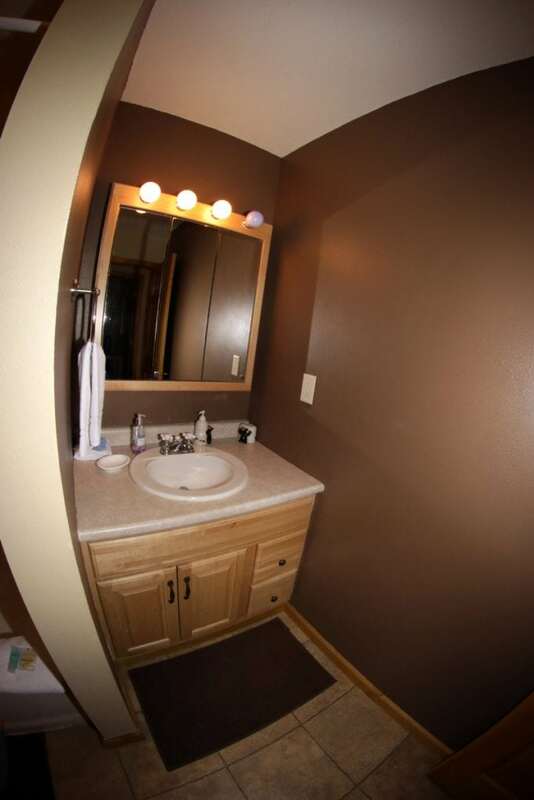 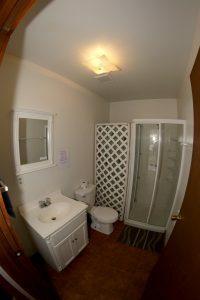 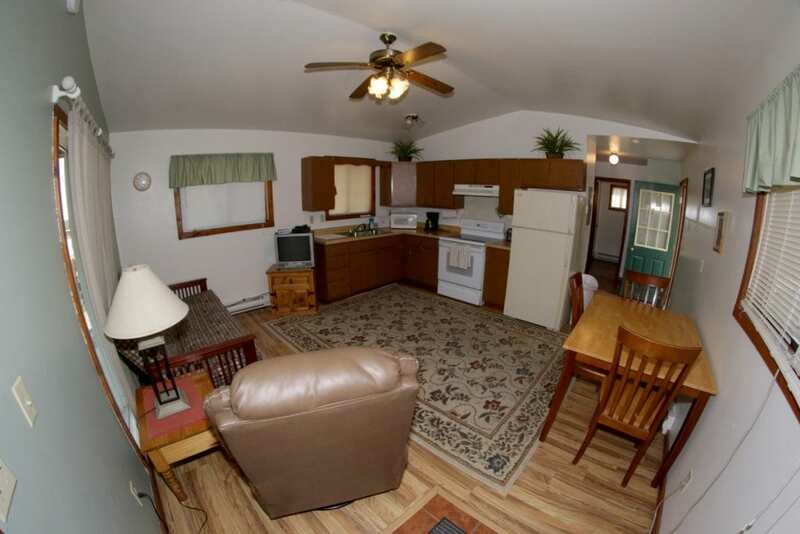 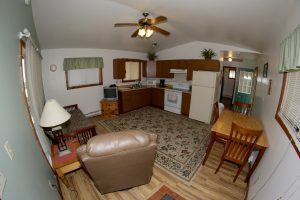 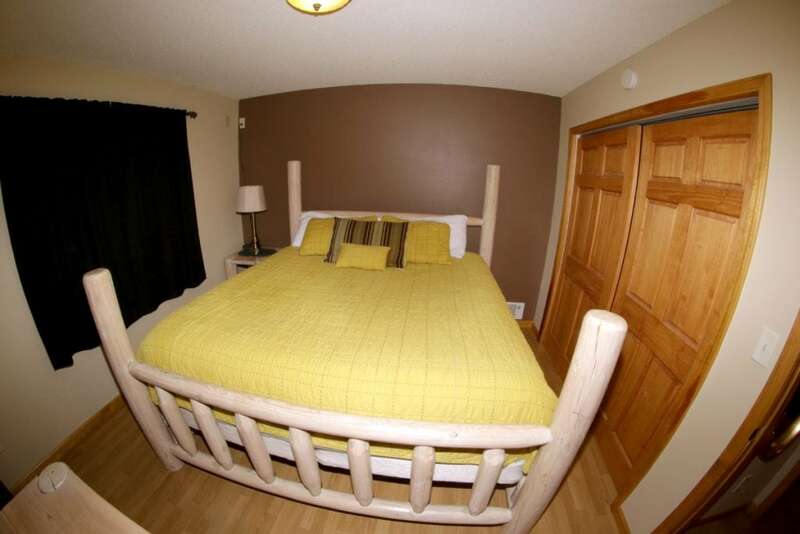 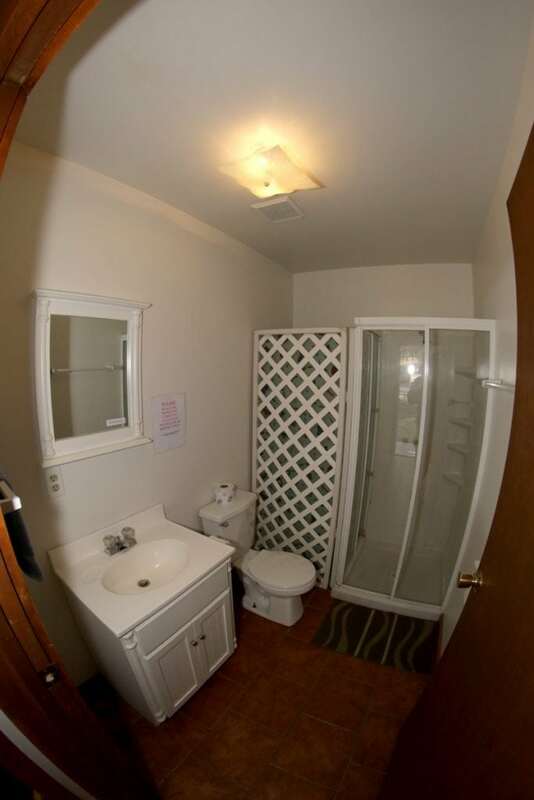 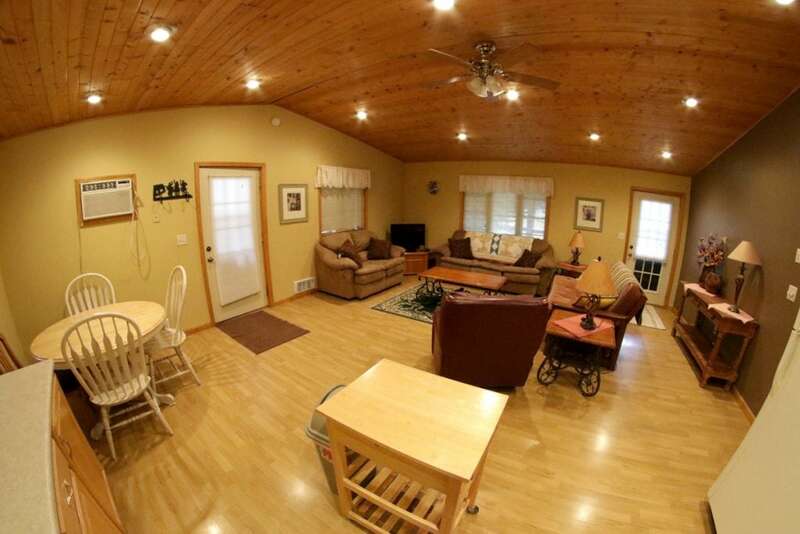 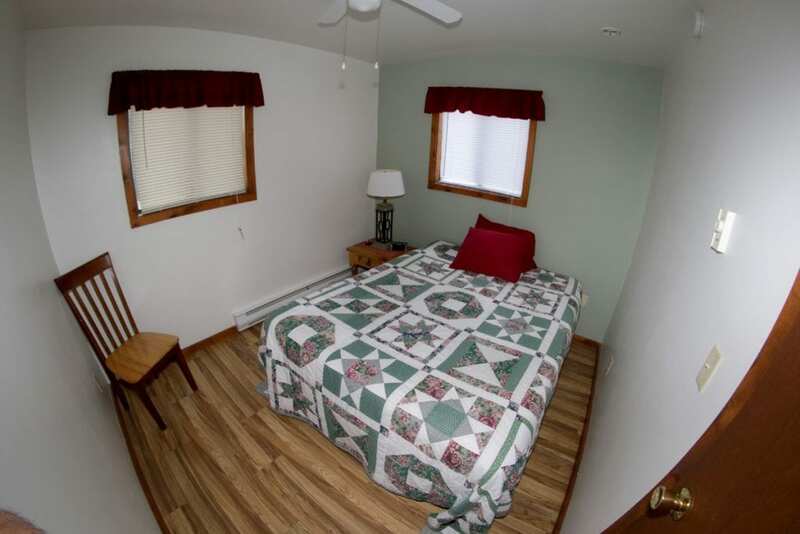 There is also a full bath with stand-up shower, TV with DVD, huge porch with patio furniture & gas BBQ grill! Only the best in this perfect place to stay! Come and join us for the next Sturgis Rally!